in the form of a borrowed book. than reading a library book. and how to see them through a creative eye." first step outside in the morning. check it our for some inspiration today. You might also like this similar post. Rebecca, lovely verse and pictures. Those yellow lemons are so pretty to see early in the morning. Enjoyed reading your post. I enjoy my first trip outside in the mornings with the dogs. Everything seems refreshed. Wonderful! I'm going to look for the book and visit his blog. Thanks! What an amazingly gorgeous book! That book does seem like fun. I love books like this that inspire me to think through similar shots. I have that book and love it. Full of so many beautiful photos. The Lemon shot is my favorite, maybe because I love tho photograph them. They are always so cheerfully yellow. The book looks truly interesting. I must look for it! 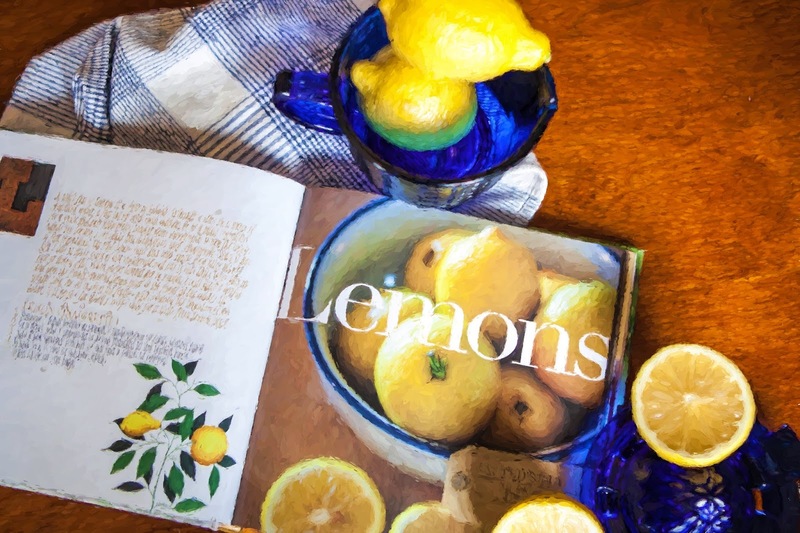 LOVE your lemons with that cobalt blue! The book sounds wonderful! 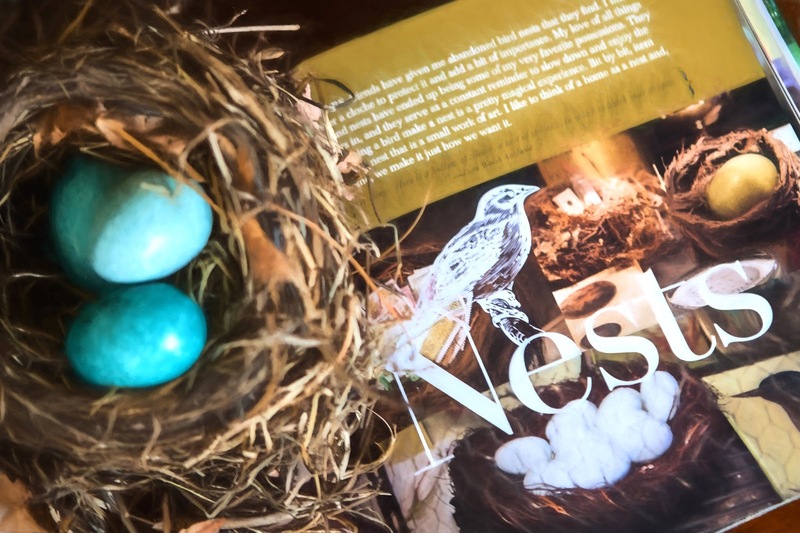 Love your images with it, especially the nest and blue eggs. Have a great weekend! Thank you sharing about the book... looks wonderful and I love your photos! I am going to check out this book also :o) Have a great weekend! 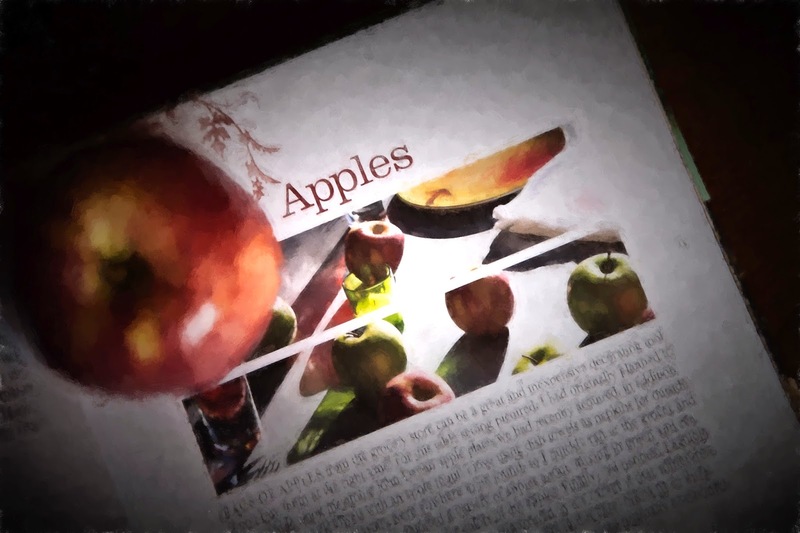 I love what you've done with the book, expecially the lemons.